Equipment leasing comes in many shapes and sizes. Many companies have found leasing to be the best way to finance their business, whether they are a new business or established. All businesses require equipment to run properly. Some equipment loses its value quickly. By leasing this type of equipment you can return at the end of your lease term and get the latest version. Equipment leasing is based on many factors, mainly the age of your business and your credit. But unlike many forms of business financing. Equipment leasing is open to even HIGH-RISK business. What is a high-risk business? A startup business is considered high risk because there is no concrete way of knowing if this new business venture will be successful. The failure rate for start up businesses is 50% within the first 5 years and 70% within 10 years. So you can see why some lenders are hesitant to lend to start up business owners. But there are ways for a new business to get financed. Check out our start-up business equipment leasing program for some tips. A business owner with bad credit. Bad credit business financing isn’t rocket science. It surprises me that so many people tell me they went thru so many companies and rejections before finding us. If a deal makes sense. There is a way to get it done. In equipment leasing, there are several different ways to get a bad credit deal financed. You need to know who the right lending company is for the deal. 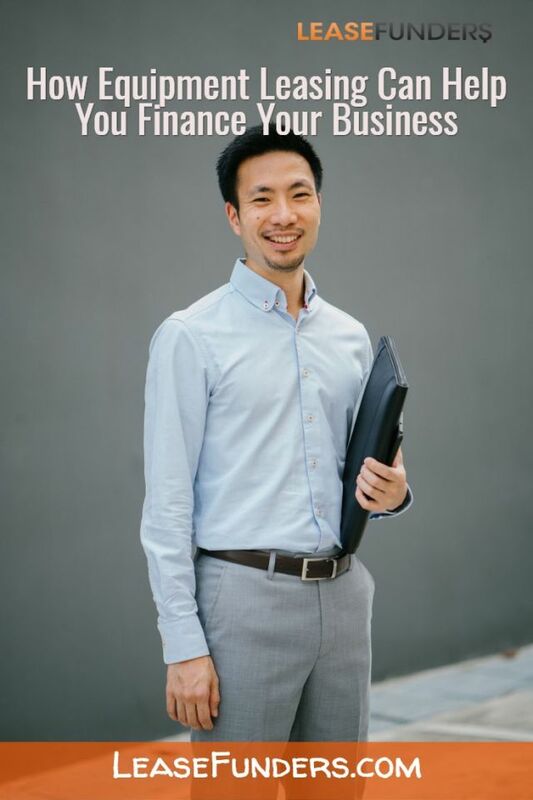 You need to know which deals can move forward using the business owners credit and which ones you will need to have additional collateral or a co-signer for. For more information on our bad credit equipment leasing programs or our secured business loans, click here. 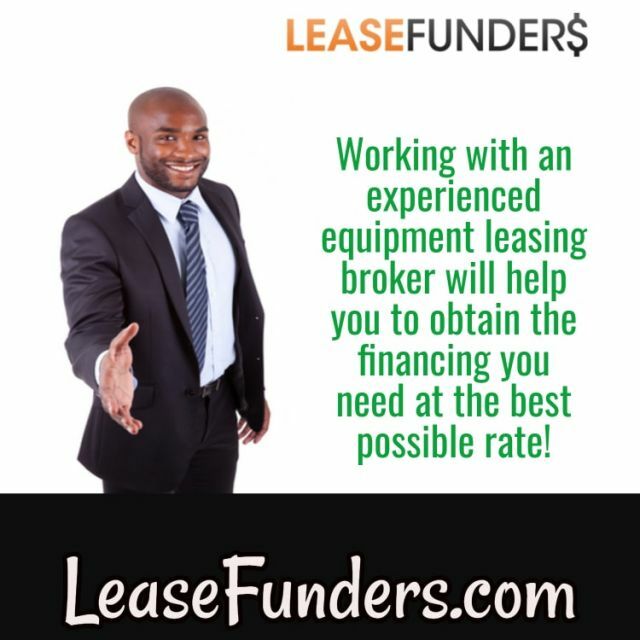 You should find an equipment leasing specialists to help you out during the lease search process because as brokers, we know our banks and funding sources. Once you explain to us what your situation is and what you are trying to accomplish, we can help you get it done! Many people call us and they have credit problems, but they want to have good credit rates. Be realistic when you are speaking with your leasing specialist. If you have credit problems, or a start-up business, or in a high-risk industry, expect higher rates than your good credit or established business counterparts. Use our secured online application form to apply for your equipment lease! What I found really surprising when I was starting my magazine was the amount of equipment I needed. Presses, binders, computer equipment, office equipment. I’d really not thought ahead because I was coming into this with a head for fashion, not equipment. Leasefunders got me started and stuck with me while everything was ironed out. It’s hard to hide from bad credit. 🙁 But even with excellent credit, banks are likely to turn your loan request down if you’re a startup. Even my dad, who had wonderful credit and loads of experience in the profession his business is in, was met with resistance at the banks. Isn’t our economy supposed to fueled by entrepreneurs?? LeaseFunders really helped us in this respect. Thank you for all the nice words. This is exactly the reason why we are in business! We want to continue helping small or established business get the financing that they deserve. Money’s tight nowadays with all the credit having dried up, so I’m not surprised that a lot more people are looking for equipment leasing over buying them straight up. I could use some extra operating fund and leasing our equipment could be the solution for it. We don’t have the best of credit score, so that could be an issue, but I guess I won’t know the answer to that until I apply for the lease. Expect a call from me soon, guys. Hi Gavin, thanks for visiting the site. Credit isn’t really a big problem for us. We work w/ a lot of banks that will approve bad credit, they are just concerned about what type of equipment you guys need. We can also include some of the soft cost of the equipment like install in the lease. Please give us a call and I will be happy to walk you thru the process.